We have completed our trip and are now closing Bikelele – no more posts we promise! Thanks to our readers for encouraging us and for the comments, which we were always glad to receive. 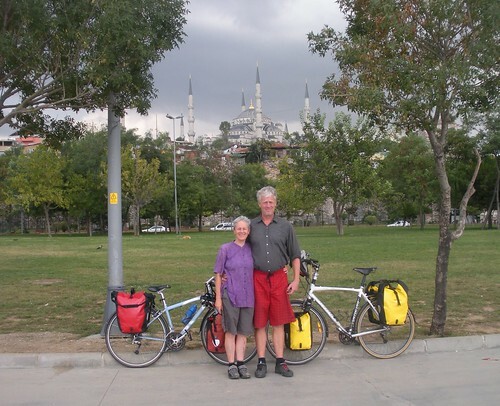 This blog will, of course, remain online as a record of our travels and we hope it may also be useful to other cyclists who are considering or undertaking a similar endeavour. This entry was posted on 22 September 2010 at 7:23 pm and is filed under Netherlands. You can follow any responses to this entry through the RSS 2.0 feed. You can leave a response, or trackback from your own site. Congratulations for your amazing trip and your fantastic blog ! No doubt that this experience is just awesome ! Bravo ! Aussies are definitely crazy and you’re so right ! This is life ! It makes us feel like traveling again. Rosalie, I know what it’s like to update a blog as often as possible. This is a hard work and a real pleasure to share what you see, what you learn and how you feel. Thank you for that. Bon travail ! Prenez soin de vous et vive Bikelele !